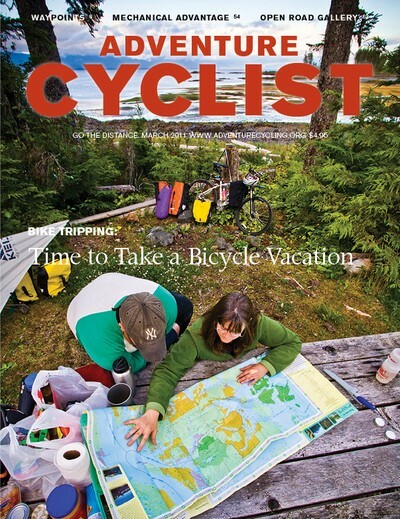 Adventure Cyclist is the one cycling magazine truly dedicated to bicycle travel and adventure. Offering many angles on bicycle travel, we cover adventures worldwide, including epic, cross-country cycling tours, shorter multi-day trips, and mountain-bike treks, as well as featuring bicycle-gear reviews, and other bicycle-travel news. We are known for inspiring photography and insightful stories.